How to enjoy running on your holidays | JustRunLah! Hello everyone! I hope you enjoyed the last post from Sydney’s Bondi beach; this time, I’m checking in from sunny Adelaide. As the journey progresses, I continue to enjoy running regularly, and in this post, I’d like to talk a little bit about running while on holidays – why you should do it, how to enjoy yourself while doing it, and some tips to consider for a safe and enjoyable running/travelling experience. Depending on what your motivation(s) is/are for running, you may feel ambivalent about running itself. However, since you are on a running website, reading a running blog, I shall just go ahead and assume you enjoy running as an activity, above and beyond the next most commonly stated reason people give for running (weight loss). So. You enjoy running, and you have successfully managed to find some time in your regular life to fit it into your routine. Running on holidays, however, can quickly become quite complicated. You’re out of your comfort zone. You’re in a different country, with a different climate, a different terrain, possibly a different language, and people are driving on the wrong side of the road… argh! Before you start feeling overwhelmed, take a moment to consider this: if you see people running at your holiday destination, there is no reason why you cannot do it too. It just takes a little bit of planning. Knowing the type of holidays you are going on will help you determine how and when you can run. If you’re on a package tour with your family, it’s more realistic to wake up a little bit earlier than the rest of the group and fit a quick one in than attempting to squeeze in a pre-lunch jog. One possible alternative that I have personally tried before, is to do a quick run at one of the attractions you are visiting – say, a beach where you are given 2 hours to explore before the tour bus continues. Note the time and meeting point, and be punctual! Your travel group is running on a tight schedule, and you don’t want to be left behind. If you’re travelling free and easy, you have a little bit more freedom to run whenever you want. However, if you are with a partner, or your family or friends, please take into consideration their desired itineraries. You may wish to slate in an afternoon here, or an evening there, when people can part ways and do what they want, before meeting back for dinner or a group visit to an attraction. This way, you can go run while the others drink beer/go shopping/(insert less-fun-than-running activity here). If you’re travelling alone, you are a free man/woman. Run whenever you want, wherever you want. Nobody will judge you. 1. In this day and age, with Google at our fingertips, you no longer need to wait until you arrive at our hotel or hunt down the tourist information centre for a map. You can Google your destination in advance to determine how suitable the environs of your hotel are for running. Singaporeans do tend to take for granted certain basic points about safety. Find out if it is a safe neighbourhood to go running in, and don’t forget to check for sidewalks, as some places are not too pedestrian-friendly. Don’t forget to note the direction of traffic. 2. Scope out local attractions, and plan our a running route that will take you to these highlights. That way, you kill two birds with one stone, as you are sightseeing while running. Yes, it takes practise to run with a camera in hand, but it can be done. No, I do not recommend you bring your $800 gear. 3. Find out running routes that are frequented by the locals. Even something as short as a 5K distance will give you opportunities to cross paths with local runners, and there is no better feeling in the world than exchanging a cheery “hello!” with a complete stranger, knowing that you are united by the simple act of running. Your faith in humanity will increase by 5000%, and you will truly believe that through running, we can achieve world peace. When you run at home, in the comfort of your daily/weekly routine, it is easy to go through the motions on autopilot. You know where your shoes are, you know in which corner of your drawer lives your lucky underwear. Haven’t washed your running shorts from yesterday? No problem, just use another. 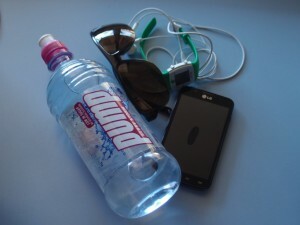 When you are travelling, you will suddenly realise how much stuff you carry while you run. This is what you usually run with. You won’t forget them while you prepare to run on your holidays. Here are certain items that you probably don’t carry with you on your usual runs at home, but really should while you travel. Start by inspecting your suitcase size, and where applicable, negotiating the amount of space that is yours. Think about which items are truly essentials (for me, it’s my wicking socks, and the tech stuff like heart rate monitor and GPS). Next, decide what items you can truly run without, or items which you would like to replace, which means you can buy while you’re overseas. Leave those out. As stated before, dressing for the weather is important. This means you won’t need singlets if you’re planning to run in Vancouver this time of the year. No appropriate clothes for the climate? Buy it at the destination rather than ordering it online in advance. Understand that you may require certain things that you don’t normally carry on your regular runs. 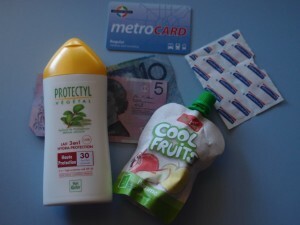 Tiger Balm and extra deodorant, probably not necessary. 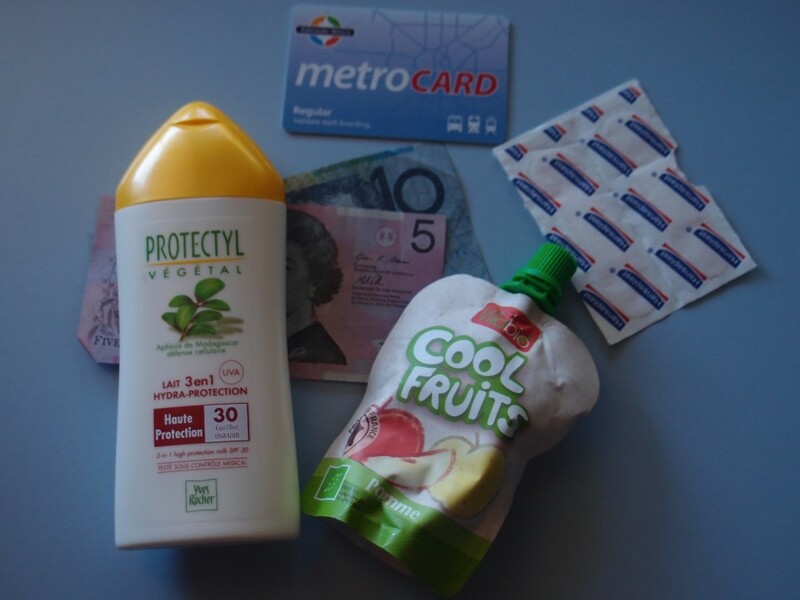 Band-aids, sunscreen lotion, and some portable food, I’m inclined to say: essentials, no matter the distance. Also, bring some money and a travel card. Make sure your mobile phone is always charged before you run. You may never know how long you will be out for, no matter your intentions, so water, food and money are paramount. If you take a wrong turn and lose your way, or run out of steam and cannot continue running, having a travel card or cash will help you get back safely. Some countries lack the sanitation standards that Singaporeans are used to, so in case you get hurt, band-aids will help reduce the risk of infection. Now you’ve got yourself sorted, all that’s left to do is run! Before you head out in a rush, however, there are just a few more reminders. 1. Always let at least one person know that you’re off to run. Let them know your intended route and an estimated time. If you’re not entirely sure, don’t say “I don’t know”, say “if my sense of direction is functioning, I should get the chance to see the Charlie Checkpoint and if I am not back by x o’clock, ring the police”. That is the difference between coming back alive and being another entry on a Missing Persons list. 2. Vigilance of your surroundings cannot be stressed enough. If you want to listen to music, I recommend keeping one earbud out so you can hear. Pay attention to street signs, landmarks, anything that will help you trace your way back. 3. Avoid drawing too much attention to yourself with expensive gear. Hide them under clothes, or leave them back home. You are a tourist, and unfortunately, this means you could very well be an easy target. By this stage, I hope I have convinced you that organising yourself to run while on holidays is not as impossible as it may seem. A little forethought pays off, and really, it is truly worth the effort. Weaving a run into your holiday will ultimately up your game as a runner, as you realise that running need not be separate from everything else you do in your life. If you would like to take a look at some photos I’ve taken while running on holidays, please visit: www.thetaoofourlartdevivre.wordpress.com. Click here for more post from The Ninja Turtle. I have tried before running in the mornings during work trips but it always ended up raining in the midst of it! Shall try it again the next time when I have the chance to. Bad luck about the rain, especially in the early mornings when it’s cold too. If you do muster the courage to go ahead anyway, remember to keep warm! Fingers crossed for clear skies on your next run+travel. Great post. I always squeeze in a pair of trainers and shorts/t for a run when I travel. Early morning works best for me, before work or before the family wake up. I have had some amazing morning runs on trips. One additional suggestion would be just google ‘best places to run in xxxx’ before you go and you will see a huge list of suggestions on various sites (assuming you arent going on holiday somewhere very very remote). 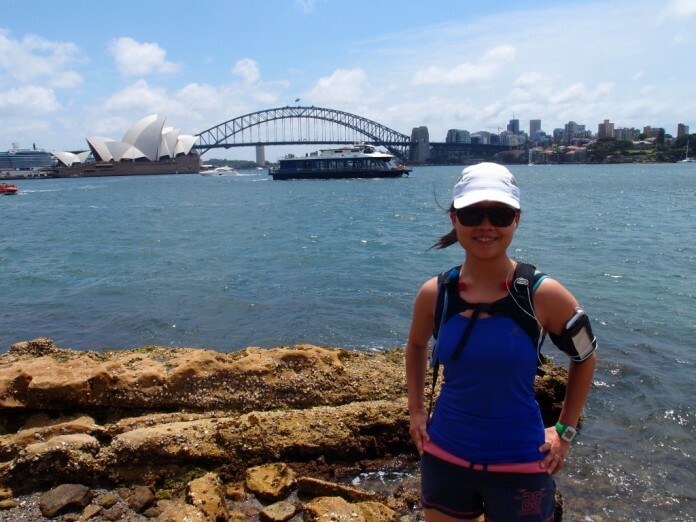 Last time I was in Sydney I had a great run over the harbour bridge in a rainstorm – was one of my most exhilarating runs ever – craziest vacation run was in Can Tho City in Vietnam, 8km’s of urban trail running, dodging scooters, animals and market traders through the busy city streets. I agree on these runs you have to ignore pace and distance, just run, enjoy and look around! Agreed on the Googling up running routes for your destination (especially if there is no language barrier), and hearing the voices of the locals. Running in any city in Vietnam is a whole other level of madness I have yet to attempt. Hats off, and glad you survived! Thanks! =) I fully agree that some destinations are really not designed for running – that video of Hanoi reminded me of Saigon AND Rome. In those places, you’ve just got to take in a deep breath, cross the road, and believe you won’t get hit by a vehicle. Closing your eyes may even help. yeah – it was kind of like that when I ran in Can Tho (which is down on the Mekon Delta). I called it ‘urban trail running’ because I was constantly dodging scooters, dogs and old ladies! I love running when I’m overseas, it’s the best way to see the everyday way of life in the early morning. I’ve run in England, Germany, Japan, Korea, Hong Kong, Thailand and Bali, but my favourite place of all is Taroko Gorge in Taiwan, it is just magnificent for a morning running. Wow, ZombiBunni, what an impressive list of countries you’ve run in, and they all sound so different too. I’m gonna have to Google Map Taroko Gorge, and maybe just put it on my bucket list! Thanks, Pes E! Those travel runs on your blog look really cool, especially the ones of Spain! Thanks for the advice on cabbing it to a park, that’s a really good idea too.